Once upon a time, MK mailed me a cartoon, on paper. I used it as a bookmark (the paper kind, in a paper book), as I often do with such things, because they're fun to come across when I re-read the book years later. I liked this particular cartoon so much that when blogging came along, I decided to use it as my About Me image. Since then, I've been using it, or pieces of it, for my online avatar pretty much everywhere, including as the favicon for this site. 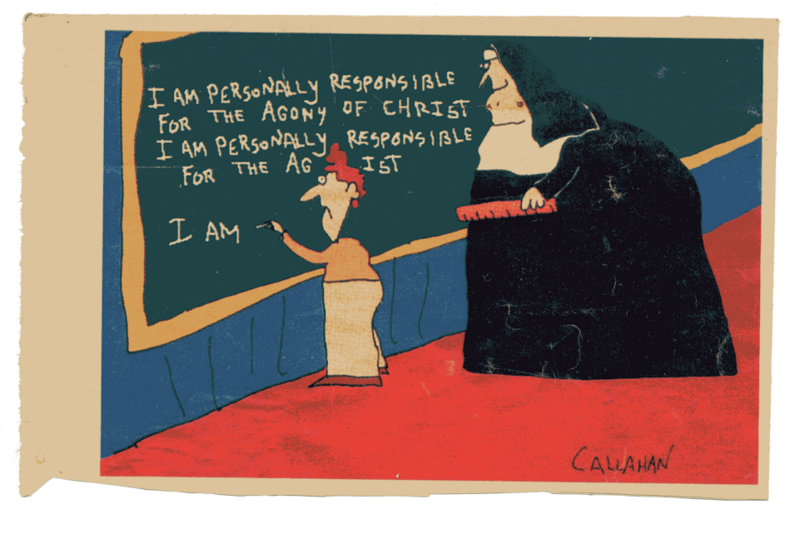 Thanks to Sean Taggart, I now know the artist: the late and apparently great John Callahan. More here. This profile, from 1992, is especially recommended.